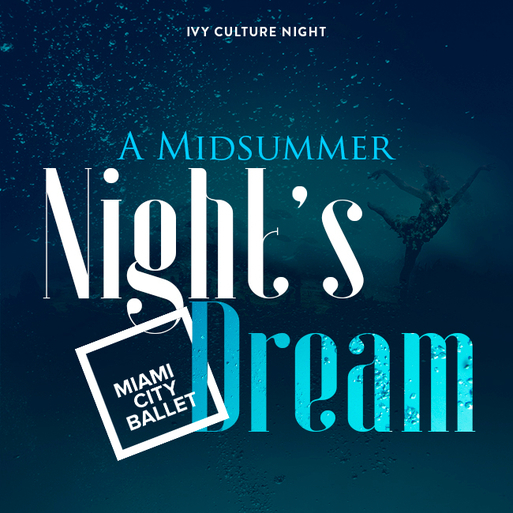 IVY members experienced a unique night with the Miami City Ballet at A Midsummer Night’s Dream. Balanchine's A Midsummer Night's Dream is one of the definitive dance interpretations of Shakespeare's beloved classic, featuring some of his most dazzling bravura neoclassical choreography, which embodies Shakespeare’s timeless tale of love and magic, reality, and illusion. This ballet was a great way to honor the Shakespeare on the 400-year anniversary of his death.